You too can start over. Anybody can start over. You may not go willingly, but once you set your mind to it, the change may be filled with new opportunities. 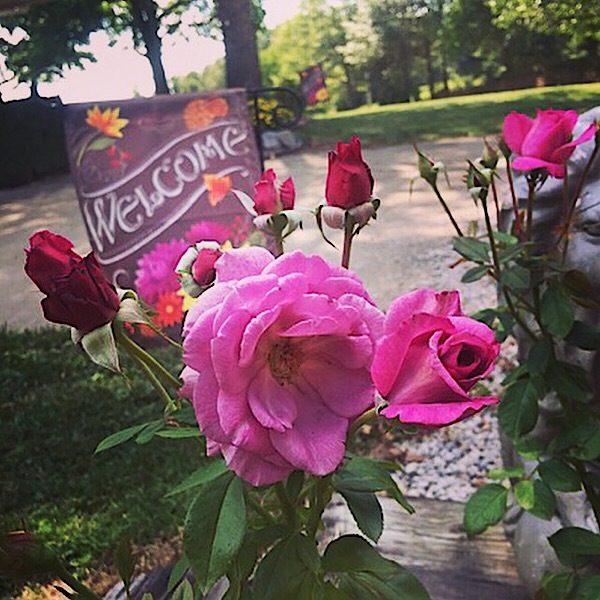 We moved to Illinois from Texas in 2011 leaving behind rose gardens that I had invested heart and soul creating. The Illinois property sits on 3 1/2 acres of rolling sandy loam hills, and did not have a single rose. We left behind over 225 roses in Plano, Texas (the safest city in America of its size unless you’re my kidnapped lawn decorations) that took 20 years to collect. I now live 40 miles from Starbucks and 80 miles from Home Depot. Whoever does Home Depot’s site planning must be sitting in Salem, Oregon studying their data viewing ‘flyover’ states as not worth a little road trip because this area is booming and could easily supply Home Depot with lots of business. Now after living in Plano, Texas; a totally consumer centric life style driven by hopping in the car for a 3 minute drive to Starbucks for coffee, Whole Foods, and Central Market type of living to being 15 miles from a Walmart, I’ve come to love it. My aunt that lived in the Santa Ynez wine country had city councils fight to keep big box stores and consumerism out of their counties, we live that way for free. You see this is farm country, we grow corn and soy beans out here. Susan what’s your point? They don’t sell potted fancy rose bushes out here either. Can you imagine my shock trying to find a landscape center that sold potted hybrid teas? I called the nearest landscape center 40 miles away and asked if they carried hybrid teas and the answer to my question was “what’s that?”. You see there are trade-offs. We started over in Illinois, June, 2011 walking you through putting in new rose gardens in stages. So now you see why when I spotted ‘Gene Boerner’ at Rural King, in September of 2011 I was shocked and nearly shed a tear. They carry primarily Star Roses ‘KnockOut®’ roses, which I love also but I wanted more than only ‘KnockOuts’®. They had very little selection in hybrid tea or floribunda roses, so to see one ‘Gene Boerner’ which has a stellar reputation and came out in 1968 and is still rated in the ARS* Handbook of Selecting Roses an 8.2 I grabbed it and planted it as the first floribunda in my Illinois floribunda garden. Once I looked up the history of ‘who is Gene Boehner’ the irony wasn’t lost on me. ‘Gene Boehner’ is known as ‘Papa Floribunda’. A jovial man he worked his entire life at Jackson & Perkins where he hybridized more than 60 roses! I’m so glad the first rose in our floribunda rose garden was ‘Gene Boerner.’ Known as ‘Papa Floribunda’ of Jackson & Perkins ‘Gene Boerner’ is symbolic to me for many reasons. Jackson & Perkins is a brand that is symbolic to America for roses. 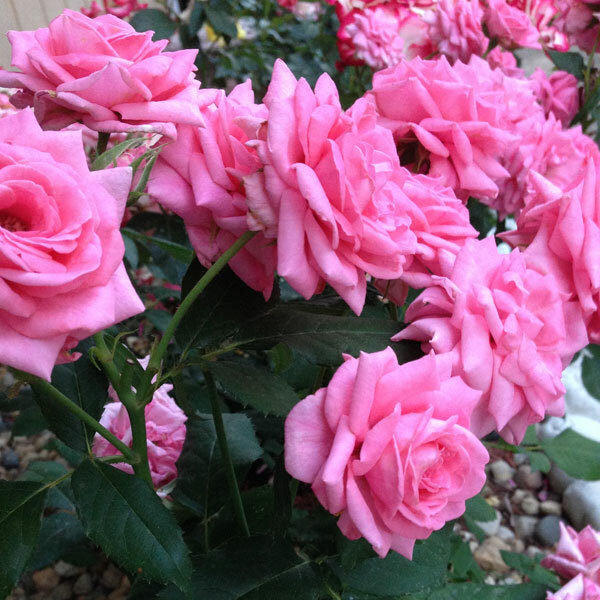 Also ‘Gene Boerner’ you see pictured here is one of the first roses to bloom each spring. This rose is also very disease resistant. Garden Legends are stories about people, plants, & companies and how their passion for creating better, more beautiful, easy to grow plants will live on as a tribute to them by rooting and grounding beautiful plants across the land in the hearts and gardens of people everywhere. Along with Gene Boerner, two of the most notable American Rose Breeders; Bill Warriner often called “the No.1 rose breeder in the United States and Dr. Keith Zary have created the most famous roses today while at Jackson & Perkins. If you haven’t checked out the American Rose Society, current President of the American Rose Society, Pat Shanley believes in sustainable rose gardening and is dedicated to every aspect to growing better roses. She also oversees the magazine the “American Rose” magazine, along with Executive Director, Laura Seabaugh. This magazine is completely dedicated to promoting gardening, education, preservation and appreciation of the rose. The American Rose Society is one of the few societies left that continues to publish a print publication 6 times a year along with several newsletters/bulletins and provides each member with a “Handbook for Selecting Roses” and “Creating a Beautiful Rose Garden” booklet.